I recently purchased the "Impressionist" chinrest topper from the Fiddlershop as per Pierre's suggestion and wanted to write a little about this great product. I wanted to share my experience in hopes that others will be able to improve their playing so here are some of the pros and some of the cons. -Very easy to setup and redo (if you even need to!) Approximately 10-15 minutes even if you scrutinize the instructions first. Another 15 minutes to let it cool. -COMFORTABLE! My goodness I have been trying several different chinrests in my pursuit to play without a SR. The high stuber came close, but it wasn't high enough, and wasn't quite the right shape. With the impressionist on top, the gap is finally closed, and I don't have to squeeze anymore or lift the shoulder. I can now practice for hours and hours without pain or discomfort, and the violin now simply balances on my collarbone and thumb/finger. -Shifting is easy now, when once it was impossibly hard. The chinrest now conforms to the exact shape of my jaw and has a hump in the right spot to where I can hold the violin without it dropping if I remove the left hand balance. -The sound I get out of my instrument seems to have vastly improved. The tension in my upper body has been greatly relieved and there is less hesitation, bow bounce, my arm can get under the the instrument more so my fingers are in the right place, and I believe it sounds more open probably due to the fact that I am no longer clamping down to shift, vibrato, or cross strings. -Consistency is now the foundation of all my playing. I have made more progress on the cannon project in the past day and half than I have on the weeks of time spent working on it beforehand. I hold the instrument the same way EVERY time now since the chinrest holds the exact shape of my jaw. -The Weight of the instrument will slightly increase, but it shouldn't really be much more than the weight of a bigger chinrest anyway. In all honesty the weight is directly on the collarbone though, so I think this may actually make it easier to hold during shifting? May have to investigate this. -It won't be aesthetically pleasing for some, but I could care less. 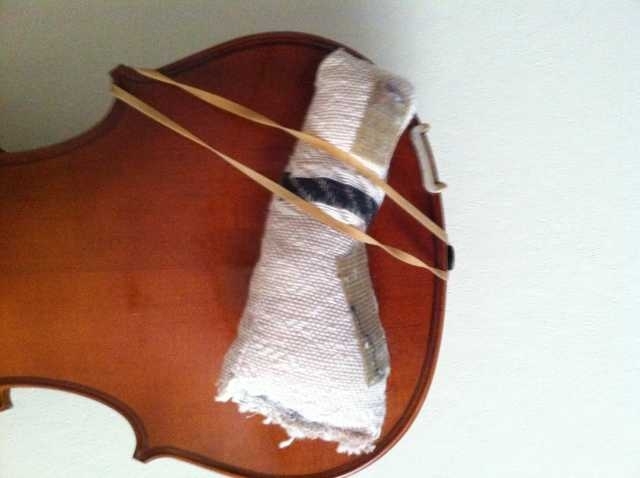 Some people use strad pads and other things after all. -Stuff is STICKY during setup, but if you are careful, you can't really call this a con, especially if you take my advice and don't use plastic utensils! I highly recommend this to anyone that has trouble holding their instrument, or has pains after playing. Holding the instrument is in my opinion the foundation of being able to play well since it affects everything you do! Thanks goes to Pierre for suggesting this product to me. I wanted to share my experience in hopes that others will be able to improve their playing. Thank you for posting and sharing your experience with us here. @ Adversed; perhap's you could explain in brief what the spoon is used for. I have read the product discription and your review and am definately interested in this product. Finding a comfortable chin rest and shoulder rest has been a problem for me, I've tried two different chin rest's and 4 shoulder rest's in the past 3 day's and just can't get comfortable with the combination's. I made a shoulder rest from some old curtain material and a bit of stuffing and is held on with a rubber band, it's very comfortable on the shoulder but just doesn't give hand's free support. I don't know why I can't attatch a picture in the same post box, so the following is a photo of my home made s/r. Certainly, the spoon is actually used to take the chinrest out of the cup when you have emptied the boiling water, so you can safely run it under cold water for five seconds without burning yourself. And I certainly say you should give it a try Fiddlestix. It has helped me and I had the same situation as you. Chinrest "humps" are not specifically made for you, they are a standard form that everyone goes to use, but it doesn't fit everyone. This Impressionist takes that out of the equation since you make the form of the hump with your own body, the way it feels naturally. Just as the inventor stated, chinrests are comparable to wooden shoes, which don't work for everyone. But using the impressionist will let you make it specifically for you. And as you can see in the middle picture, my jaw fits better with the hump moving the opposite direction of the stuber's back line. The stuber was the right height, but not quite the right shape (close though). The best thing about it is, I wont have to buy anymore chinrests anyway if I want to experiment, I can just remold the impressionist. Hmmm.. Nice. I think i should try this one! - added to the wish list. Thank You kindly for the review, Mike! Ok, here's the story on the, "Impressionist". I went to my luthier today to pick up my violin, I think I mentioned that it came apart at the seam below the tail piece end pin. I asked my luthier if he had ever heard of the "Impressionist", he looked at me and smiled and said, sure. He then opened a drawer and took out a package containing the item. I asked if they were any good and had he ever tried one, he said yes he had tried one, but what struck me funny is that he pulled one off the shelf that was flat as a pancake with a slight bend to it, kinda like a potatoe chip. He said he uses it for violin, viola and cello repair. He heat's it presses it flat and it take's the shape of the contour of the instrument, top or bottom, then clamps it until the glue dries. The package was marked, $ 15.00, he then told me $ 15.00 for the violin repair and $ 10.00 for the "Impressionist", so my total was $ 25.00 even. I haven't tried it yet, but will get on it, Tuesday evening. Thank's, for this thread, Mike. I too have had trouble finding the right combination of chin rest/shoulder rest. This seems to be just what I need. I will have to get one. Fiddlestix : I will be very interested in what you think about the impressionist. THANKS for posting your experience with this, Mike! To me it seemed to be a daunting task to decide on what combination might work. With a limited budget, not always an easy task. I've been trying to figure out what the best combination of chinrest/shoulder rest for me is. I've seen several chinrests that extend 2" or more above the top of the violin, such as the one pictured by @AdverseD and the one FM uses in some of his vids. I don't see anything like these on fiddlershop. Is it better to have the violin placed closer to the shoulder or closer to the chin? Or ideally half way between the two? Right now I'm using a Kun shoulder rest set as high as it goes (on both violins). The chin rests on my violins are not comfortable in the least. I have a Sattler Strad pad on my acoustic, which helps but is still not ideal. I'm thinking I'd like one of these Impressionists, but on what chinrest? Can I move it to a different chinrest at some point or are they permanently affixed? You can take it off and remold it as many times as you like. It just takes another 15-30minutes each time. That's the beauty of it though, in that you can keep reshaping it if it doesn't work, or if you need to change the way you are holding the violin. I'd say at least give it a try, it's a little less than the price of a chinrest anyway! This is a great product and the best part is that it fits everyone. If you don't mind, we would love a review at Fiddlershop.com under the product. $10 was a great price especially for a violin shop. You should keep going to that shop Fiddlestix. You are one of the lucky ones to have found such a great place to get help. I like the darker wood one, is that the rosewood? I'm still wondering what the recommendations are on where the violin should be placed... vertically. 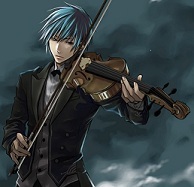 That is to say, my neck is longer than the thickness of my violin, so I need to fill that extra space with something. Taller shoulder rest? Taller chin rest? 50/50? How does having a taller shoulder rest affect things vs having a taller chin rest? 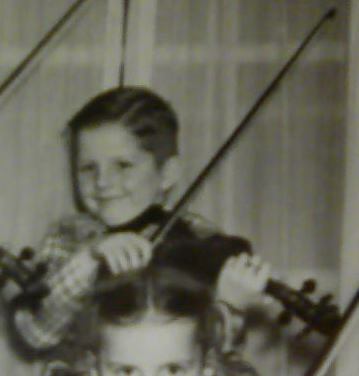 Having a taller chin rest will of course bring the violin closer to my shoulder, will this make it easier or more difficult for me to get my hand/fingers into position? I suppose the answer to this is that's it's different for everyone and I'll just have to try it. @ Pierre; In a recent thread, I talked about having planetary tuning peg's installed in my violin. Mad_Wed / Naska asked if my luthier used a 20:1 or 30:1 reamer, was it straight or spiraled, I replied to her that I would call "Mark", my luthier the next day, so I did. I told him about a girl who live's in Russia and is concidering planetary peg's, but she has lost faith in the luthier she was using and that she toyed with the idea of doing it herself and that if anyone was going to ruin her violin she'd rather it be her. I asked Mark which type of reamer he use's. After some detailed explaination he told me to give her / Naska his e-mail address to contact him and he would be more than happy to answer any question's she may have and walk her through the process via., email. I thought it as being kinda nice to take time to help someone by corresponding in that manner. @ Pierre; I don't know if she has or not, it was only yesterday, Tuesday, that I talked with him about it. I PM'd her Tue. afternoon and haven't had a reply yet. I'm sure you're familliar with the name, Paul Schuback, this is who Mark did his apprenticeship with in "1973" and "74". Actually, he did say that he used a 30:1 reamer and that a spiral reamer does give a smoother cut. He also said that a 25:1 reamer is really what should be used, but you can't find them. I no longer need any fine tuner's, my E string stay's perfect from the initial tuning. I did have him put new "Zyex" string's back on with the gold plated E string that I purchased from "Fiddlershop". They are about settled in now. I wouldn't go back to friction peg's.